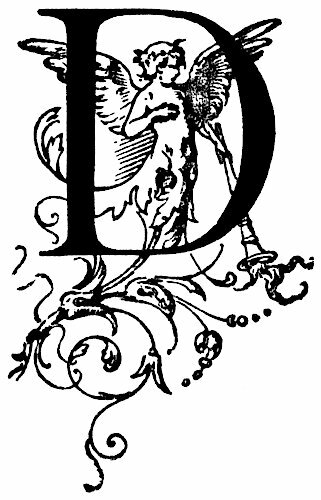 An illuminated letter “D” printed at the start of a chapter for a drop cap (dropped capital). I also made a red and gold angel version of this letter. The angel has wings and a trumpet; he has a wreath around his head and vines instead of feet.